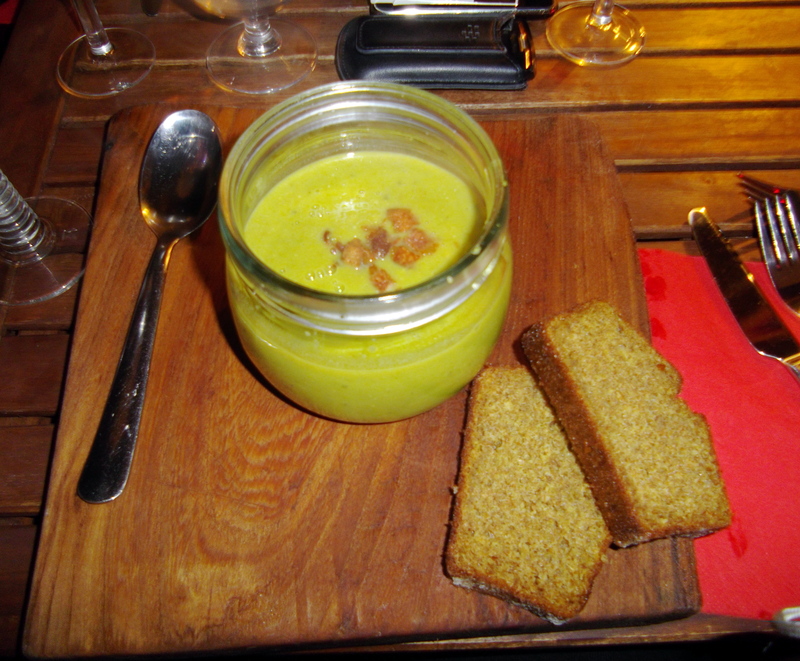 Pea & mint soup in a jar with crispy bacon. Yum. Hidden down one of Killarney’s many bustling laneways is the yet un-named restaurant in a converted town house with a ubiquitous chalkboard menu and tiny open kitchen. Laden with clinking bottles and cackling as only a hen party could we were greeted like old friends and our waiter (and soon to be best friend!) set us up outside with a selection of mis-matched glasses and questions galore and we settled in for one of the most entertaining meals I’ve ever had. Yay. We got a pizza. The adorable waiters bounced around the place, bowler hats at jaunty angles, ties askew, neon bright trainers, spilling our prosecco, fishing for compliments and all the time with beaming smiles. I was charmed. They forgot our menu’s, ran out of pizza’s, changed our order numerous times but it didn’t matter, it felt like we were house guests, and important ones at that. And thankfully the only thing not haphazard was the cooking. Everything was fresh, tasty and looked great. Big servings of pea soup in bread bowls, topped with salty crunchy bacon were spot on. 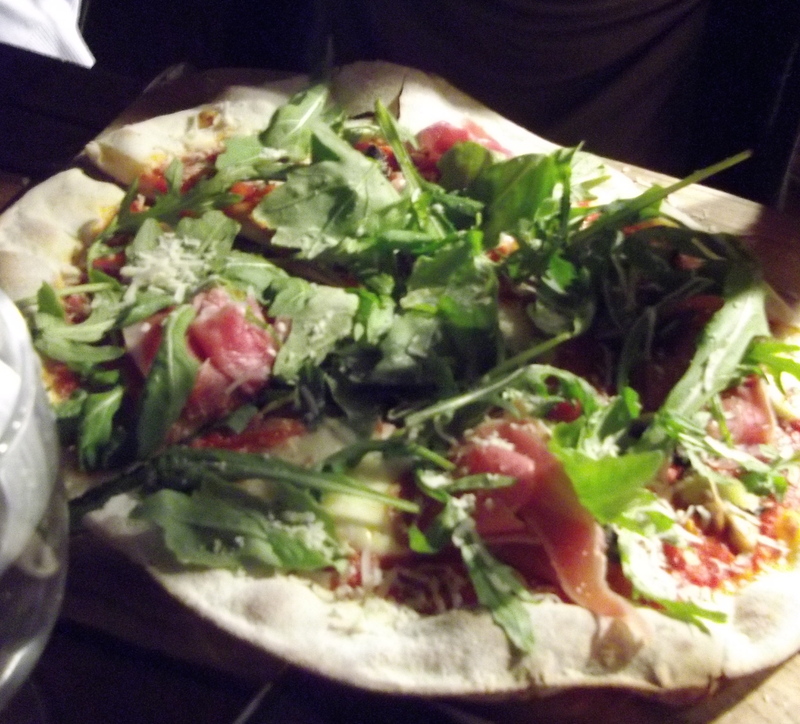 The pizza’s we did manage to procure were excellent and the bruschetta toppings delicious. Toasted hazelnuts in feta salad and citrusy twist to a chorizo and bean stew were also some of the highlights. ‘Pay as you please’ means you pop whatever you think your meal is worth into a box as you leave – a situation that reminded one of putting money in the collection basket at mass. Except for at mass you don’t bring-your-own-booze! It’s a refreshingly fun way to eat. And would I definitely go again.